It's the Anthony Kiedis show! Red Hot Chili Peppers frontman Anthony Kiedis is set to get his very own HBO drama series. The singer is reportedly adapting his autobiography Scar Tissue into a series for the US television network based on his unconventional childhood. Partnering with producers Marc Abrams and Michael Benson for Catapult 360, the series is set to focus largely on Kiedis's life in West Hollywood and Los Angeles in the early 1970s. Kiedis's father was a drug dealer on Sunset Strip who mingled with rock stars and scenesters. Although the Scar Tissue autobiography pinpoints this period as the beginning of a dark relationship with drugs, the series itself looks set to be a comedy-drama focusing as much on the LA rock scene of the 1970s as much as the relationship between Kiedis and his father. Abrams and Benson are currently scouting for a writer to work on the script, while Kiedis is considering the possibility of narrating the show. 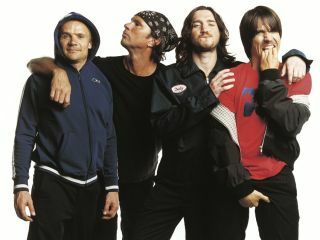 The Chili Peppers frontman has also been corresponding with his father in order to flesh out his memories of the period. Kiedis told Daily Variety: "I love mulling over all this raw material. [My father is] into it too. He sees it as our last great hurrah. For us to be reconnecting to construct these memories - the women and the rock bands and the doormen of these clubs - is exciting."